LUSH - Recent Stock Take. Checking off the list for the next couple months. Had to do a winter stock-up of some items in LUSH, as you know I do love LUSH their products work well for me and it's handy and not all that ball bustingly expensive. Being that it is coming up to Christmas, we are presented with the annual Snow Fairy and I also did pick up So White bath bomb. Sad when you wait nearly a year for certain items to come back to indulge. 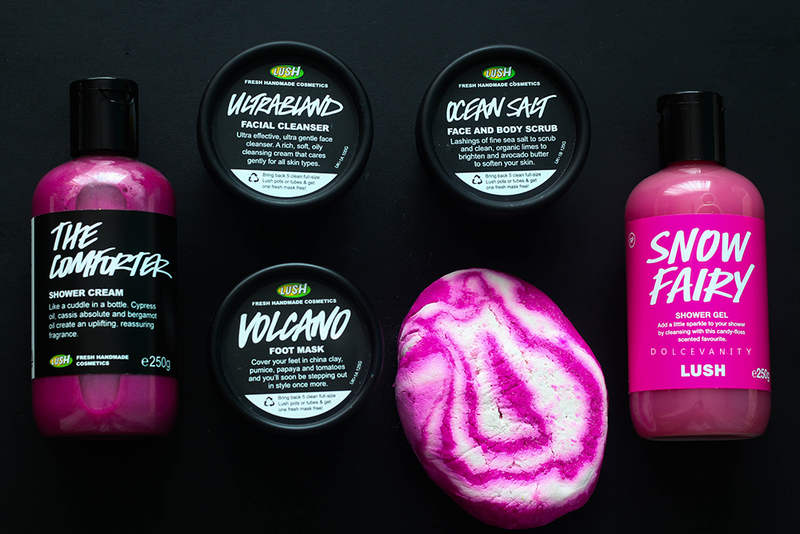 Do you have any Lush favourites? I really love twilight bath bomb - its so pretty & smells amazing! I love the Comforter and also the Cranberry face mask!